On Monday we had our meeting to decide the flooring choices. 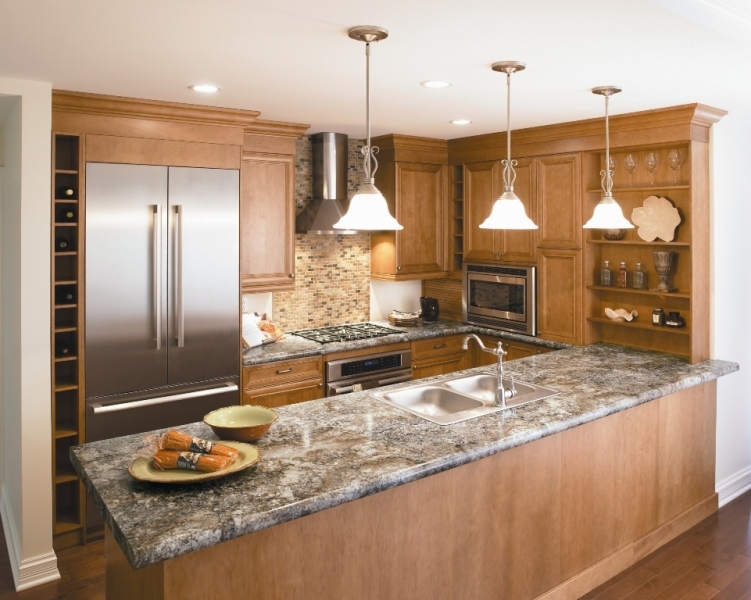 Most of the things you choose through Ryan Homes (cabinets, countertops, siding, stone, etc), are chosen in their "design center". Basically the model home that you go to will have a finished basement that has all your choices in it. So you'll see the cabinet faces, countertop samples etc. The one exception to this is the flooring. These choices are all made at an actual flooring store (for us at Rite Rug). So until you have your flooring meeting all you know is some pricing and you kind of estimate what you'd want. What stinks about that (as we found out Monday) is that you might have a picture in your head and then get to the flooring store and see it isn't an option. 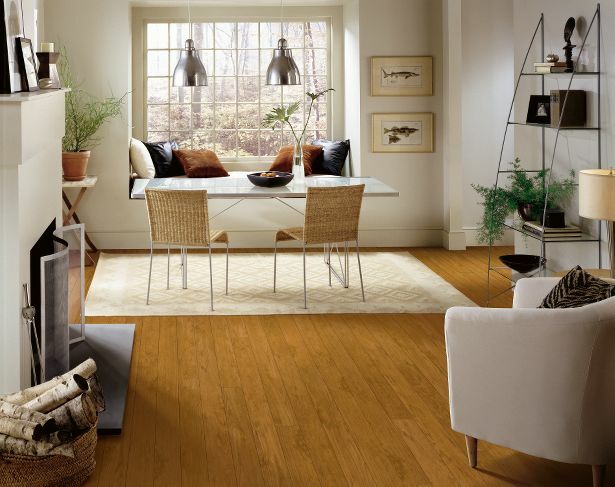 For our flooring, we had decided on hardwood laminate in the foyer, hall, kitchen, and morning room. This would be an upgrade from the standard vinyl flooring. We thought that it would just look like way too much vinyl in such a big space. We initially priced out hardwood. But as we did research it seemed that hardwood laminate would be the smartest option (instead of hardwood) because it resists scratches and dents and water damage which are probably going to happen with the kids. When we did our price estimate at Ryan Homes we were told that the price for laminate in those areas had a range which was about $2000 difference between base hardwood laminate and the most expensive. So we figured we'd end up choosing something on the mid range-not the cheapest but not most expensive either. That was the only flooring upgrade we chose because even though we'd like the nicer carpet, we thought it would end up stained or ruined with the kids and we'd end up replacing it anyway. So, we went to our meeting Monday and were choosing colors for hardwood laminate, carpet, vinyl (for bathrooms, mudroom, and laundry room), tile (for shower/bath surround), and stain for the handrail on the stairs. The first bad surprise was that there wasn't a "range" of laminate choices from low to high as we expected. There was just low and high-so no mid-range possibility. And of course, the low end didn't look very nice at all. So right away we were looking at spending more than we had expected. Then we realized we only got a choice of about 8 colors/types of the high range laminate. We had pictured a rich dark hardwood laminate. Not a choice at all. So it flustered us a little and we had to change the game plan! We got it between two colors: Bruce Farm Fence and Armstrong Sedona Cherry. The Bruce Farm Fence was a medium/dark brown, not as dark as we pictured but one of the darkest options. But it was a more "flat" finish, medium gloss and it has simulated edges (instead of real ridges between planks). The Armstrong Sedona cherry was a high gloss with actual ridges between the 5in planks and looked just like hardwood. But it was a lighter color than we originally wanted. Here is a picture to show it by our cabinet/countertop choices...The cabinets are Timberlake Butterscotch Maple (distressed antique white) and the countertop is Formica 180fx Antique Mascarello. We ended up deciding on the Armstrong Sedona Cherry that is on the right. It was lighter than we originally planned but it picks up the distressed color in the cabinets and the quality looks nicer than the Bruce Farm Fence that's pictured on the left. The awesome thing about this flooring is it has a 30 year warranty! 30 years!!! So even though it was a higher cost than the cheaper hardwood laminate it should last a very long time. We also changed from just doing the foyer, hall, kitchen, morning room-to including the mudroom and 1/2 bath so that everthing flows a little better. So now there will be no vinyl downstairs. Carpeting was next and as I said we didn't plan on upgrading. Well then we realized that just going up to the next level upgrade (there are a few levels) it would give us a 10year warranty against stains and damage and if anything happens they will replace it. So we decided to upgrade the carpet in the family room since it's so close to the kitchen we thought the kids most likely will have food in there so it would make sense to the have the warranty. We didn't upgrade any of the other rooms though to save money. Here's a picture of the carpeting we chose. It shows the wood laminate we chose up top and then the upgraded carpet for the family room is bottom left (Shaw Sand Swept) and the base carpet for the rest of the house is bottom middle (Shaw Rockport). Next is the vinyl for the upstairs bathrooms and laundry room and the tile for the shower/tub surround in the master bath. We chose the white tile (only had a choice of that or almond) and the vinyl for the floor is pictured below it. The granite for the masterbath countertop is on the left (wheat). Fingers crossed we made the right choices!! !